The A-1 standard climber is a tremendous investment. 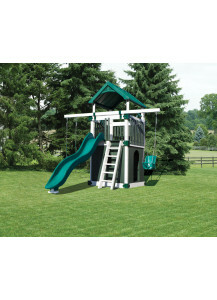 As our foundation play set, you can add on any of the fun items in our catalog. With rung climbers to the tower and a 3 position climber swing beam that can hold up to three swings, the A-1 standard climber can be placed in almost any yard. 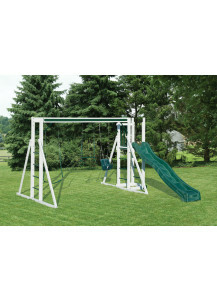 Stop by our Red Hook, NY location to see our display model swing sets and look at choices for colors and other options. The A-4 Special is truly one of a kind. 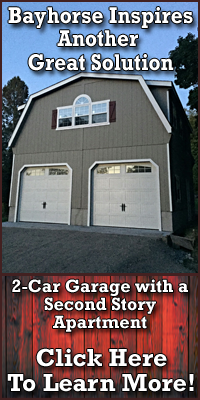 Climb the flat step ladder to the 4'x4' tower which is topped off with a classy gable roof. Slide down the 10' avalanche slide. 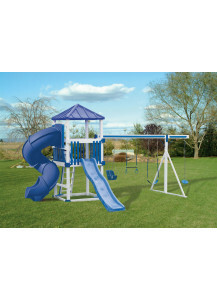 The A-4 Special also includes a 4'x4' sandbox and a 10' single beam that supports any style of swings with up to three swing positions. Get ready for endless outdoor fun. The KC-5 Deluxe is perfect for families who need variety. Equipped with a 4 rope tire swing, belt swing, trapeze, and plastic glider; the 4 position climber offers lots of versatility. The flat step ladder leads to the tower with it's pyramid roof. The 10' avalanche slide gets you back down to the ground where you can build roads in the sandbox. For swing seekers everywhere, the KC-5 Deluxe offers plenty of ways to hang on and enjoy the ride. The KC-1 Clubhouse with it's two position swing arms is jam-packed with endless entertainment. The tower has a 5'x5' lower deck with closed in clubhouse walls great for pretending. 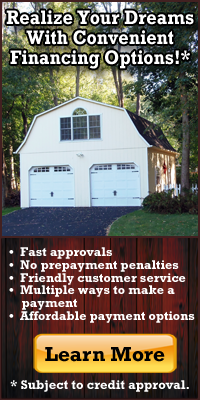 Climb the flat step ladder to the 5'x5' upper deck complete with a ships wheel, binoculars, and a sunburst gable roof. Slide down the 10' avalanche slide to enjoy one of the two swings, a belt swing for the older kids and a baby swing for the younger ones. Enjoy endless fun with the KC-1 Clubhouse. The KC-10 Economy Turbo play set is the largest of the Castle Tower Series. 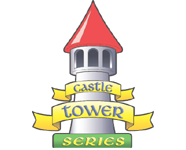 The 12' high tower has not only a 10' wave slide but also a turbo twister slide for your prince or princess. The 4 position, 14' single swing beam offers a variety of fun for children of all ages and comes with a baby swing, trapeze, belt swing and daisy disk. The KC-10 Economy Turbo even has a sandbox to build sandcastles in. Nothing can stop a great imagination!